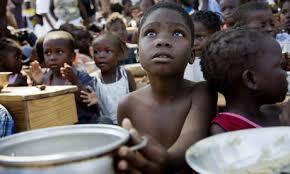 To be poor in Haiti: is to be reformatted as ‘troubled’ and to feed the pockets of foreign NGOs and journalists! I was alerted to the website Turning World - @Turning_world – by some friends here in Haiti. The site is run by photo journalist, Brad Workman who has an ongoing photo documentary in Haiti. I took issue with his language, the project, the fact that there is no acknowledgement let alone giving back to those whose lives he invades under the guise of social documentary. The books and prints are for sale on the website. and previews here. There are different ways to tell a story without invading peoples lives and assaulting their dignity – see here and here the photos chosen by the Camp Acra residents on their blog which should be a lesson on what Haitians see for themselves. Teju Cole’s 7 point tweet analysis of the “White-Savior Industrial Complex“ is a must read for any white saviors or potential white saviors embarking on a savior mission..